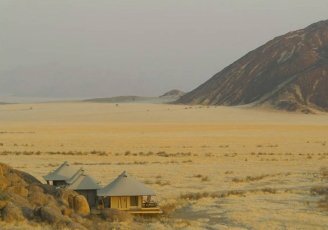 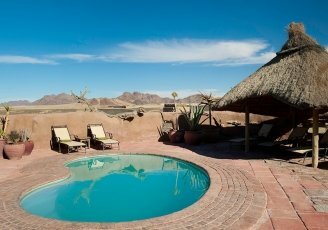 Hoodia Desert Lodge is situated on the banks of the Tsauchab River, about a 15 minute drive from Sesriem in the Sossusvlei region of southern Namibia, close to the Namib Desert. 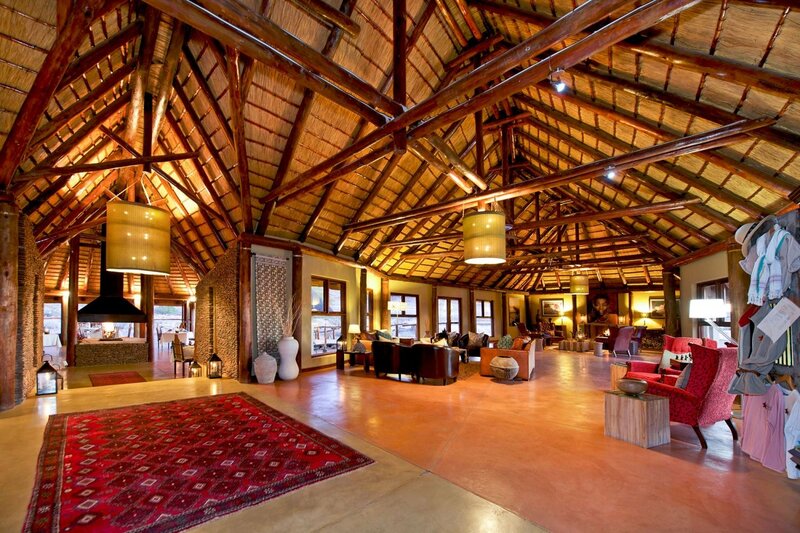 The lodge comprises air-conditioned thatched chalets with wooden floors and comfortable furnishings. 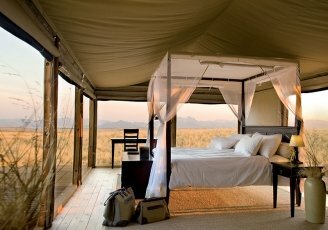 The en-suite bathrooms have both an indoor and an outdoor shower as well as outdoor bathtub. 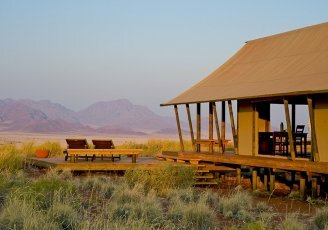 Each chalet has a shaded porch to the front with great views across the open plains. 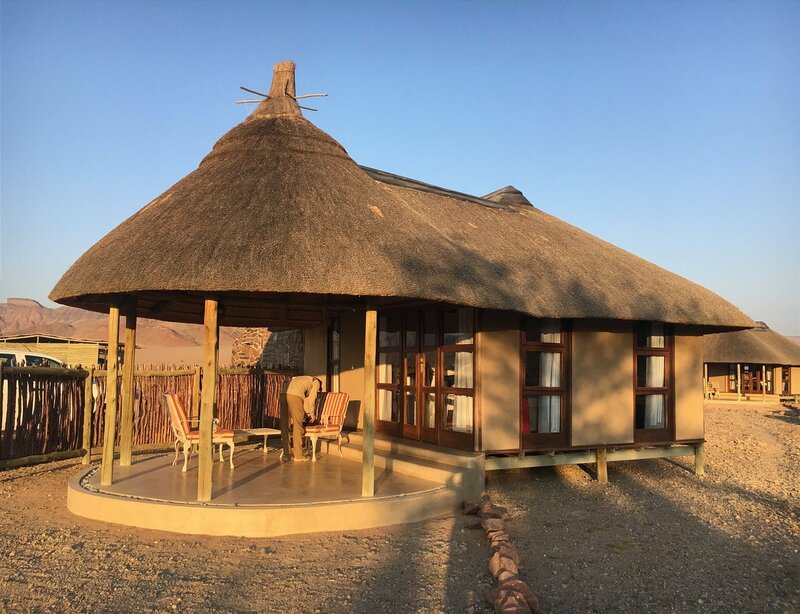 The central guest area of the lodge has a warm and relaxed atmosphere with open fires in the winter months and a large terrace and pool area. 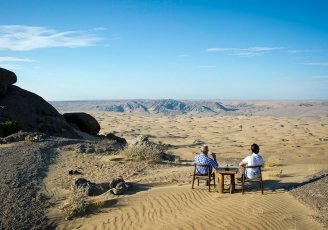 There are lovely views of the riverbed and mountains beyond from the terrace area, perfect for some time relaxing after an early morning visit to the dunes. 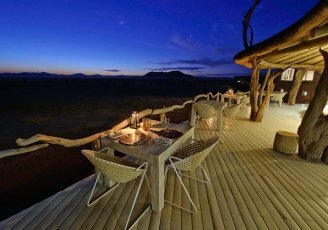 The restaurant serves three course dinners in a large dining area with an open fire during. 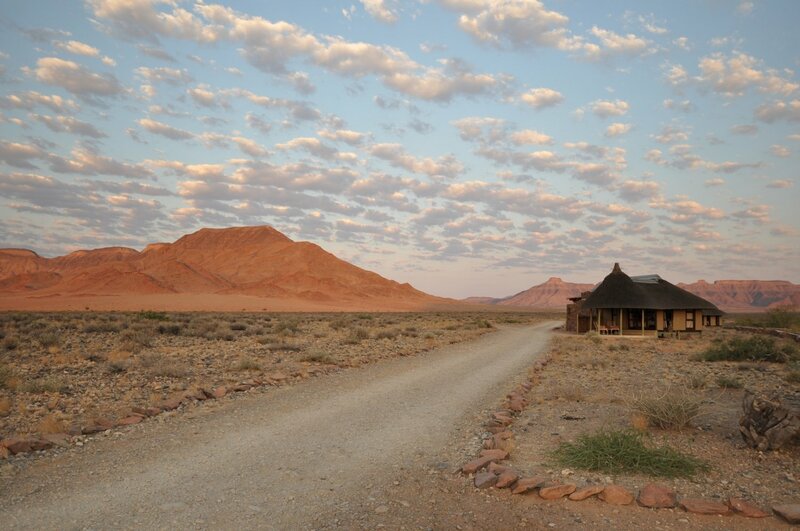 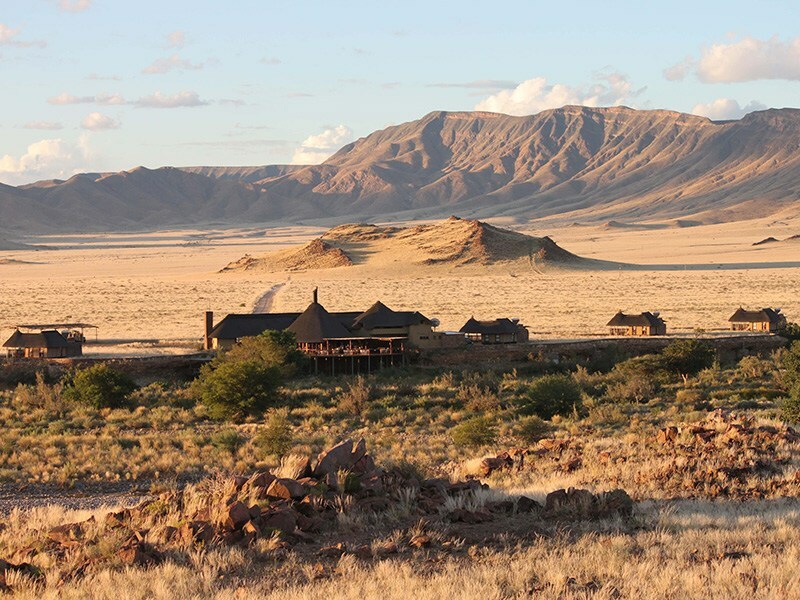 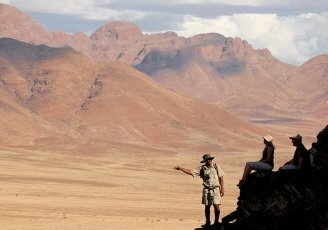 Hoodia Desert Lodge offers a range of guided activities including a tour of Sossusvlei, a day in the Namib Naukluft Mountains, horse-riding, quad-biking and an early morning hot air balloon flight over the dunes.